If you know me then you know I’m a kind of obsessed with coffee. I’m also a huge fan of eggnog so it only made sense that I try to combine both loves into one fabulous iced beverage. This is my home made version of Starbucks’ Eggnog Frappuccino. However, you don’t need to spend a lot of money on it and you don’t need any fancy syrups. 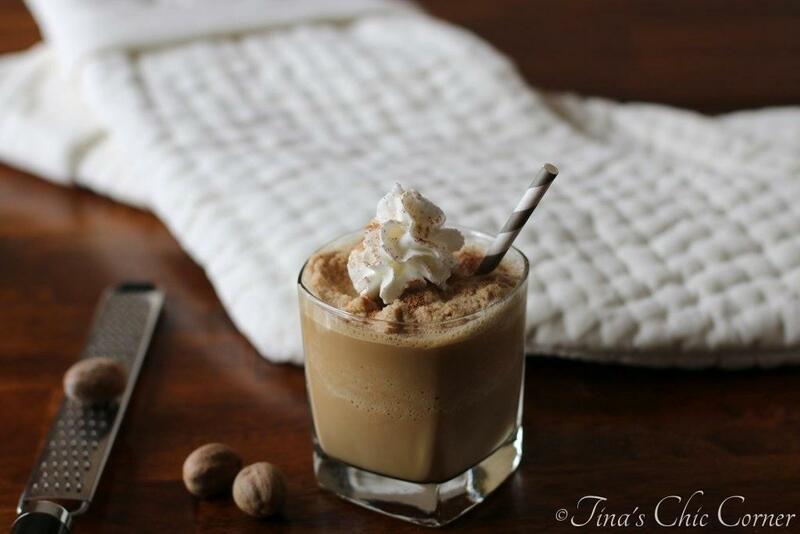 You only need a few simple ingredients to enjoy this holiday twist on a frappuccino. 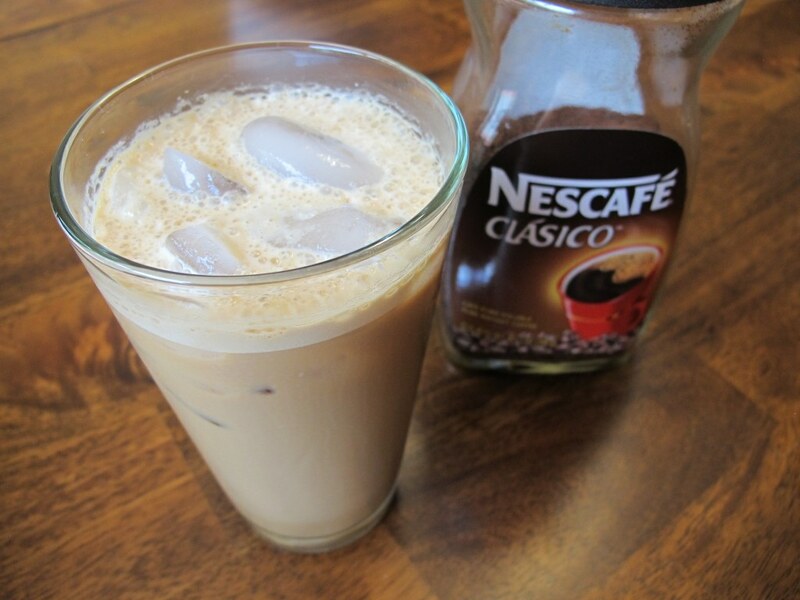 Put the instant coffee and water in a blender and mix until well combined. Add in the ice, eggnog, and nutmeg into a blender and mix until everything is smooth. Since the stores only sell eggnog this time of the year, we simply must have it in our home. After all, it’s the time of year to indulge. My husband and I love to sip this luscious drink in each other’s company with our lit tree and roaring fire in the fireplace. 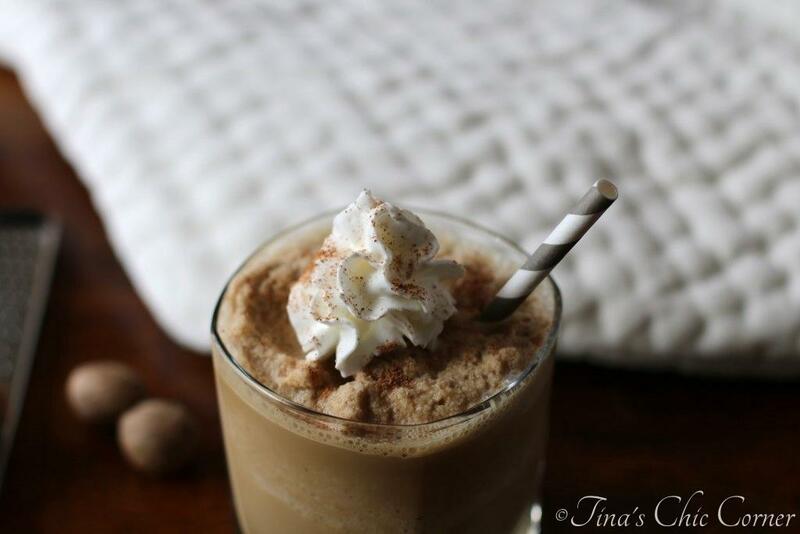 I haven’t baked with eggnog (at least not yet), but I wanted to turn a traditional glass of eggnog into a coffee wonderland beverage. I think fresh ground nutmeg is the only way to go with eggnog because it tastes way better than the pre-ground stuff (but that will work too, of course). I topped my eggnog frappuccino with a small dollop of whipped cream and sprinkled additional ground nutmeg on top. My preference for fresh ground whole nutmeg is something I picked up from my husband. For him, it was just what he always had available for eggnog as a kid. 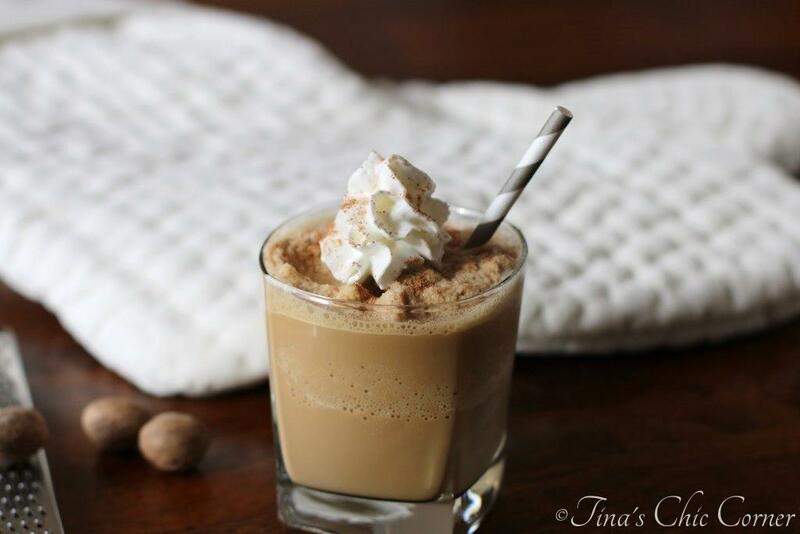 Do you have a favorite drink this time of the year? 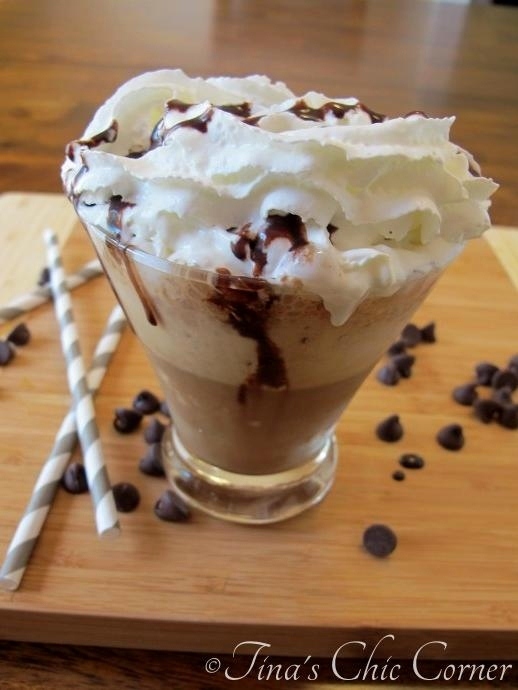 Here are some other awesome coffee beverages. 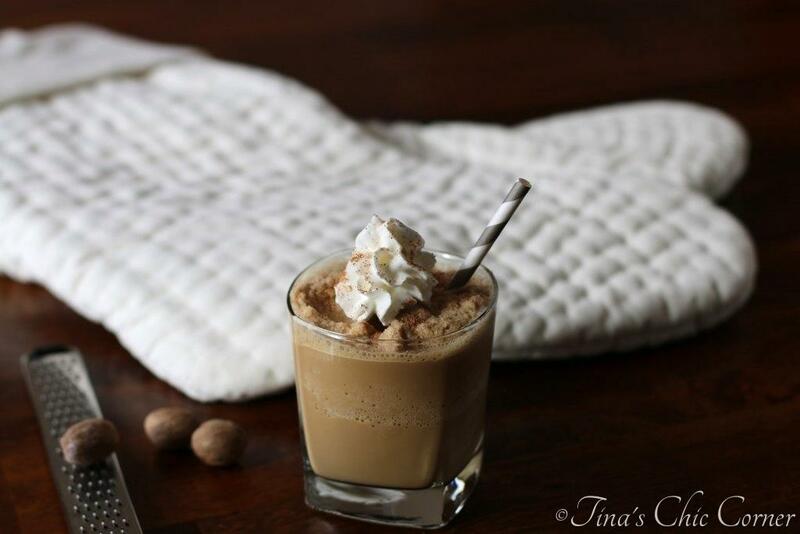 I’m obsessed with coffee too, Tina, so this looks absolutely delicious to me! I gave up ordering those pricey drinks at Starbucks, but I love making them at home. Pinning! Could I use milk instead of water? Please reply soon. Yes. It will just make it more creamy. So I’m sitting here sipping on my iced coffee that I literally just poured eggnog into, and now I just wish it was this frappuccino instead. I literally gasped when I saw this in my Bloglovin feed. You just combined my two favorite drinks into one! I cannot wait to try this! P.S. I nominated you for the Sunshine Award – you don’t have to participate, just wanted to let you know I love your blog! I definitely love sipping on warm beverages this time of the year, but I can’t say no to frozen treats either. Specially if they look as delish as this one… gosh it looks so so perfect! Around the holidays, I live for eggnog! 🙂 Especially eggnog latte!!! Yay, we have coffee and eggnog in common. *hi-five*! Now eggnog frappuccino is something I have never tried and I’m totally intrigued. 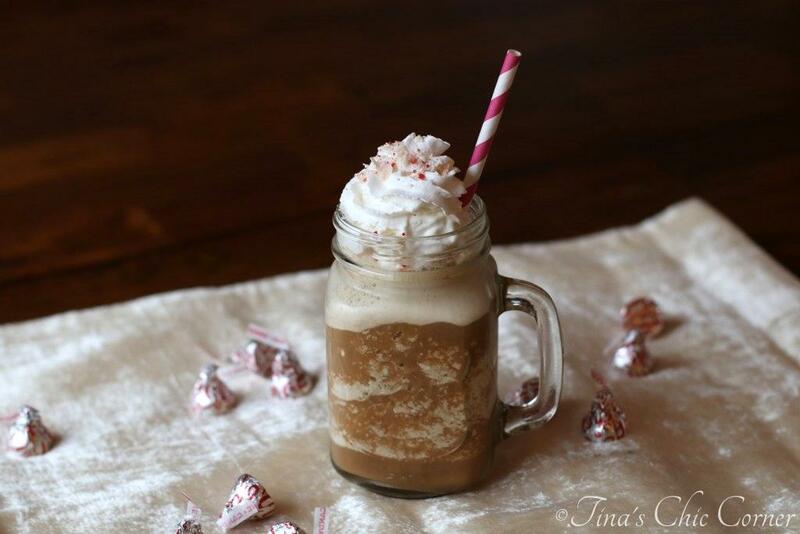 Thanks for sharing this recipe with us Tina. I look forward to trying it. 🙂 Have a great week! I’ll take your at home version over Starbucks’! Mmmm. Looks amazing. I gotta buy some eggnog so I can try this!